Tobacco rolled with marijuana helps lessen memory loss. Spliffs are a mixture of pot and tobacco that are rolled up in a fashion that is similar to a joint. Some spliffs have more tobacco than weed, and other spliffs have more weed than tobacco. It usually depends on what the user would prefer. A common rumor is that spliffs increase the high of weed, but researchers found that is simply not true. Researchers discovered that spliffs are not healthy to inhale because tobacco is loaded with carcinogens that are dangerous to people’s health. 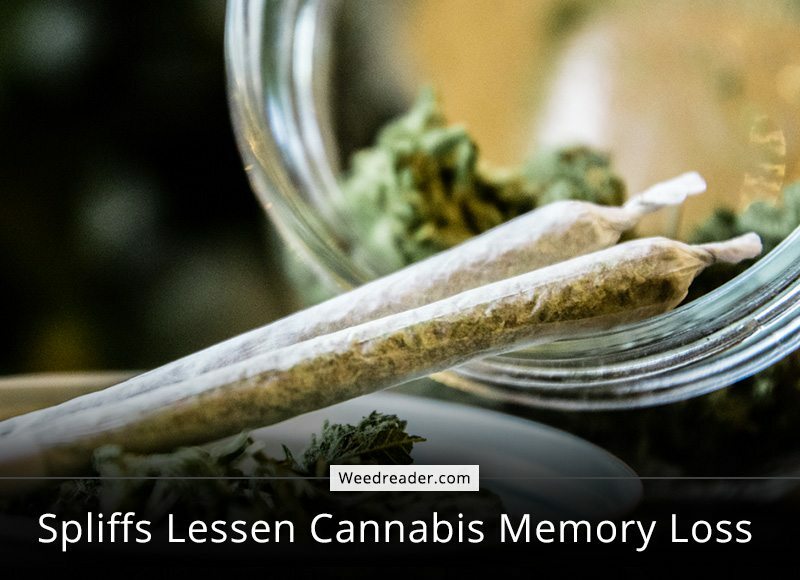 However, the upside to the discovery is that nicotine helps lessen the effects of memory loss that is generally associated with smoking cannabis. According to the new study published in Psychological Medicine, spliffs lessen the memory killing effects of cannabis. “There’s a persistent myth that adding tobacco to cannabis will make you more stoned. But we found that actually it does nothing to improve the subject experience.” said Chandni Hindocha. Chandi is a clinical psychologist and the study’s lead author. Chandi’s research team discovered that spliff smokers undergo a placebo effect which makes them think they are getting higher, when they really are not. How Chandi’s study was conducted. Chandi’s researchers looked at 24 adults who have smoked tobacco and marijuana. The requirements for the study was that the 24 adults were not addicted to cannabis or tobacco. But they did need to know how to smoke both substances. During the study, the 24 subjects smoked either cannabis and tobacco, cannabis and placebo, tobacco and a placebo, and all placebos. Chandi’s team measured the subject’s vitals such as heart rate and blood pressure. And researchers asked the subjects several questions about their psychoactive experiences. Chandi’s researchers also required the subjects to recite literary passages. The subjects read passages at different times during testing and then were asked to recite them, this was done to test their memory. Chandi’s researchers discovered that when subjects only smoked pot, they had the most memory loss. However, spliff smokers showed better concentration abilities than when they smoked only marijuana. As a result, Chandi’s team are saying that the nicotine in a spliff helped stabilize memory capabilities. During the study, Chandi’s team saw that the cannabis-tobacco mix resulted in higher heart rates for all the participants. The study revealed that spliffs are worse for cardiac health than regular joints due to the toxic gases found when burning tobacco. Tobacco is dangerous because the nicotine found within causes addiction, and tar and toxic gases cause cancer along with other health problems. The carcinogens in tobacco cause chronic lung disease such as emphysema and bronchitis. As well as heart disease, pregnancy-related issues and other serious problems. Therefore, smoking a spliff may be better for your memory than using straight marijuana. But tobacco is responsible for over 480,00 deaths per year in the U.S. The cause of death related to weed is still zero. I’m all about the medical benefits of marijuana, but mixing it with tobacco just sounds like a bad idea. I want a clean experience, and prefer cannabis oils. Are there any studies out there on the medical benefits of oil, or preferably Quantified oil, versus flower or spliffs. Would enjoy that read- thanks!